The only two things sales ever wants from marketing: more leads and better leads. A lead is any person that has expressed interest in your company’s product or service. 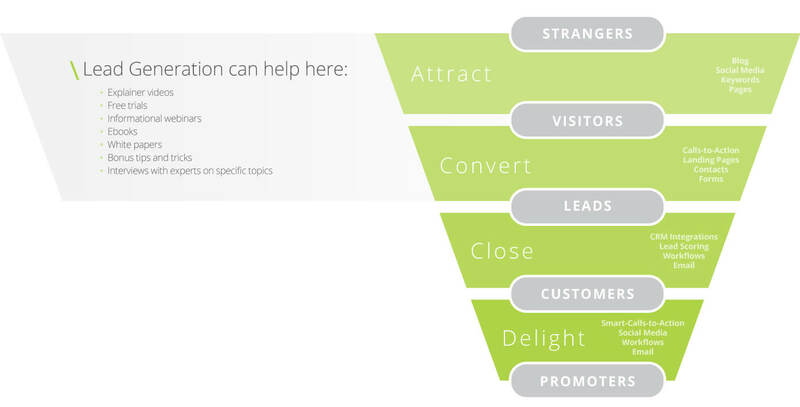 Lead generation can be defined as any marketing activity that captures attention and interest, turning strangers into leads, and ultimately filling a sales pipeline. 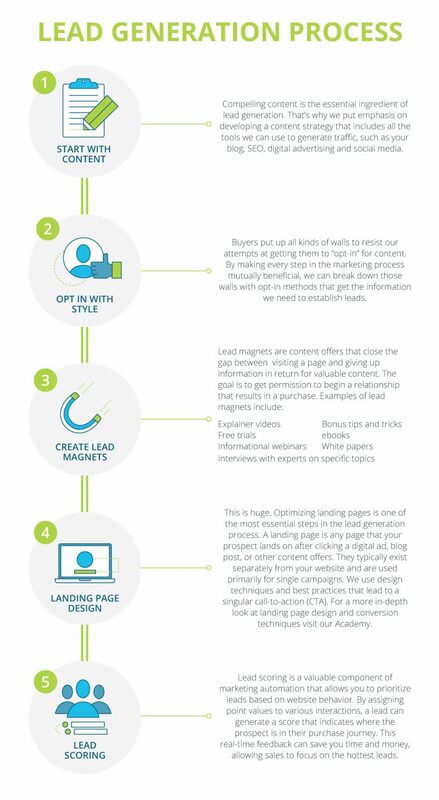 The basic methodology for lead generation is offering a piece of free content such as a whitepaper or eBook in return for a form fill on a webpage. When submitted, the filled-out form creates a lead that goes into a CRM system. Demand generation is similar to lead generation, and in fact, many marketers consider lead generation a subset of demand generation. Demand generation is focused on generating interest, so oftentimes, demand generation activities provide free content without requiring prospects to fill out forms. These leads are considered “ungated.” Demand generation also includes activities that may not be considered “Inbound,” such as paid search. READY TO GET STARTED WITH LEAD GENERATION?